Horse Racing Ireland had their awards ceremony earlier in the month at Leopardstown where the great and good of the game were recognised for their achievements; as ever I was left off the guest-list for this annual back-slapping match. Not a horse I warmed to early on but you have to respect his triple peak effort last spring, being the first horse to win Grade 1s at all three spring festivals since Istabraq in 1999, and while his Irish performance at Punchestown was the worst of the three, it’s all relative with him and he can hardly be cribbed for a horse having his third start in six weeks. His Melling Chase win was special, especially over a trip that seemed likely to stretch a keen-goer, and he beat a proper horse in Cue Card, arguably the second-best chaser in training, winner of a Ryanair and Betfair Chase before and since. The only issue now is he seems to scare everything off. Hurricane Fly deserves credit for winning back the Champion Hurdle under unfavourable circumstances – a breakneck pace that took him out of his comfort zone, ground quick enough and a track that isn’t ideal – but it was a poor race and he’ll be the only one from it back there in 2014. Conversely, Treve beat a strong field in the Arc but it was the manner that stood out; keen early, trapped wide, the jockey going too soon and still motoring away in the finish. In a down year for standout flat performances, at least compared to delights of recent years, she stood out. The Arc may have the prestige but it was the often under-the-radar Deauville Group 1 that had the quality and depth in 2013. Moonlight Cloud won despite being better over seven furlongs, getting an overly forceful ride for one so fast at the trip; she backed that up with a turn-of-foot in the Foret that could define push-button quickness for years to come. Olympic Glory was flattered to get so close on the day but that can be balanced with the fact he was coming off a break; though not always at his peak during the year, he was the best 3yo mile colt by dint of QEII win. To top things off, down the field you had Arc third Intello, Breeders’ Cup Classic runner-up Declaration Of War as well as multiple Group 1 winners Dawn Approach and Elusive Kate. The best rides are the hardest to pull off and winning on an ungenuine horse is most difficult of all. It’s tough enough to achieve in a lowly handicap but all the more so under the circumstances Chicquita faced in the Irish Oaks: a Group 1 on the filly’s first run abroad, the filly concerned still a maiden and one that had tried to jump through a rail on her penultimate start, the wide expanses of the Curragh in a small field. As with any good ride, there was an element of circumstance to the win but there was also a share of brilliance too. Aidan O’Brien had a stormer at the Breeders’ Cup, notably with bringing Magician to a peak in the Turf despite being off since June, but the World Hurdle winner gets it on the nod. There has long been a whiff of sulphur about Byrnes but that shouldn’t mask that he’s an excellent trainer of a good horse and he has had none better than Solwhit. As a rule jumpers don’t come back and certainly not to win at two spring festivals before following up with a second in a French stayers’ hurdle. It may have been a down year for the staying hurdlers but Solwhit had plenty of racing as a young horse and it was some achievement to get him back. In a competitive domestic flat racing scene, it’s hard to win four races in a season (not to mention another in England), much less for a smaller yard and among those wins a trio of Group 3s after starting in handicaps. Yet that’s was Fiesolana did for Willie McCreery in 2013, her season a story of progress on top of progress, worthy of the title best Group 2 filly in Ireland. Her Group 2 win came in the Challenge Stakes at Newmarket over her favoured seven furlong trip and while Group 1s over that distance are thin on the ground, with no Moonlight Cloud around next year races like the Maurice De Gheest and Foret could be on the agenda. The 960,000 guineas paid for her at Tattersalls early in December could yet prove good business for a serious broodmare prospect. The coverage of his recovery from a fractured pastern was somewhat interesting but I cannot help think there is no such thing as bad publicity and there was an aspect of Coolmore trying to manufacture a public horse out of nowhere with St Nicholas Abbey. This was no star as anyone who backed him and lost their money in better company last year will know and ultimately he was a 124 horse at best. He won three Coronation Cups but was only beating the likes of Dunaden and no one runs a good horse at Epsom aside from the Derby and the Oaks these days, that race the poor relation of the top middle-distance races. If it had have been Frankel or Sea The Stars, fair enough, but my overall response was apathy. Drugs have cast a spectre over the racing year, from Al Zarooni to Gerard Butler, the John Hughes hit list to the unnamed trainers that used Sungate. Having watched doping scandals unfold in other sports recently, notably cycling and baseball, I’m not naïve enough to think this couldn’t be happening in Irish racing and would tend towards the belief that it is going on to some degree in every sport. There is always the capacity for a sport’s authorities to turn a blind eye to such scandals for what they perceive as the greater wellbeing of the sport and the Irish rule-makers have not exactly been known for their draconian approach with rule-breakers in the past. The Irish Outsider : A Fair Crack of the Whip from the Media? Racing tends to define its media differently to other fields; the publications and outlets that cover the sport are often gentler than would be the case elsewhere. Sensible arguments can be put forward for the chummy atmosphere between journalists and subjects they cover – mainly that the former need the cooperation of the latter to do their jobs – but it hardly justifies it. Within racing’s bubble however, it is notable how some of the participants are dealt with more critically than others; the treatment of racecourses and politicians harsher to than the toothless coverage of bookmakers, bloodstock interests and jockeys and trainers. If you’re looking for a reason for that, it’s the money, the second group either directly or indirectly contributing to the financial viability of the media that cover them. The furore surrounding dress codes at Newbury last weekend was a good example of how the racing media will often jump on a race track when the opportunity presents itself, the comment on the subject tending to such outrage it became a parody. That Newbury made a mess of this was clear – race-goers have the sense to dress themselves – but it was such an open goal it hardly merited comment. Who really cares about this when there are many other issues that really matter? It’s similar when the old chestnut of admission fees and the price of food and drink are wheeled out on a slow news day, ignoring the fact that the same rules apply to almost every event where you have a captive audience from concerts to other sporting occasions. This is not to say that racecourses should be immune to criticism. They are worthy of reproof on any number of important issues from going reports and watering to the measurement of race distances, something which received notably scant coverage in the aftermath of the Betfair Chase at Haydock, a race where times suggested it was run over a shorter trip than advertised, an egregious crime, akin to running the 100 metres sprint over 99. But it is clear that racecourses receive a disproportionate degree of approbation relative to other parties in racing which is probably down to them being self-contained entities that tend not to advertise extensively in the media; they make their profits through admission fees, food and beverage sales, racecard sales and TV rights. Politicians are another soft target for the racing media. They are criticised for not having a sense of the broader industry, as in an editorial by Leo Powell of the Irish Field recently and in Ireland of late, there has been plenty of comment for failing to deliver on promises to establish new legislation on betting tax. Both of these are quite relevant arguments but it should be remembered that politicians have much bigger concerns than racing; they have a country to run, however badly they may be doing it. Furthermore, they don’t run party-political broadcasts on the racing media the last time I checked and the attacks from a few racing hacks are barely a blip on their radar when compared to the comment from the sabre-toothed political media. Bookmakers, who are the backbone to advertising across all channels of the racing media, get a much easier ride. The almost complete lack of coverage of knockbacks is the most obvious issue that is ignored and then there is the flipside, the often brutal exploitation of losers until they are bled dry. There is rarely any comment on the whole ethics of laying bets where winning punters are simply refused point-blank. I’m not suggesting that every bet should be laid, far from it, but there should be some code of conduct in place and bookmakers made to provide at least at base level service to all punters; one doesn’t go into Tesco and get knocked back to two cans of beer because you were only buying products that are loss leaders ,though nor can one buy fifty crates, a fair-minded approach. Knockbacks are only the start of it and many issues are left uncovered from Fixed Odds Betting Terminals (thankfully, still banned from Irish betting shops), the ever-increasing use of jockeys in tipping columns which seems a conflict of interest, the creation of round-the-clock racing (or to use its horrible industry-speak title, ‘product’), best exemplified by the introduction of Good Friday racing, all of which contributes to there being far too much racing. Then there are the irritating fantasy prices that are publicised and not laid, the tipping on obscure sports on the back pages of the Racing Post because there is nothing else on and the omnipresent PR reps that boast of massive bets. I’m left to think that one of my friends has it right in engaging in a weekly ‘which bookies’ PR would I like to punch?’ game. The big bloodstock interests don’t advertise quite so much as bookmakers, but in certain sectors they hold plenty of sway, notably in a publication like the Irish Field where breeding is heavily represented. Coolmore are the experts in PR, a veritable hype machine, but sometimes one wonders why the gloss of their stallion campaigns isn’t questioned, the media comments that form the backbone to these ads often coming from the very media the owners advertise in. Sales talk, from the jockeys to trainers, is their currency with comments about such a horse being ‘the best ever’ happening so often as to make them a parody. No comment is made on the area of group race inflation where we have far more group races than ten years ago, surely a breeder-driven development, and when is the last time you read a negative comment on a stallion, such as them getting types that weren't genuine? Of all the players in sport, jockeys and trainers might be the most sensitive of all. Whether it be criticism of a bad ride or bad placing, they tend to throw their toys out of the pram at even the inkling of negative comment, often responding with the ‘how many winners have you ridden/trained’ argument. Should a media member step out of line and critique a trainer or jockey, then another journalist will invariably spin it back in favour of the supposedly injured party, knocking the doubters. While jockeys and trainers may not advertise in the media they do provide the news and filler that is the backbone of day-to-day coverage and without this material journalists are in a bind. The exception that proves the rule of jockeys and media is Ryan Moore who, despite being the best of his generation, is constantly slated for not being media-friendly enough, as if his willingness to engage in meaningless pre- or post-race platitudes and blandishments matters a jot for what happens on the track. Moore may not be inclined to bare his soul to Bob Cooper in the parade-ring but the ironic thing is that when, on the rare occasion, he does have something to say, it is worth listening to. https://www.geegeez.co.uk/wp-content/uploads/2013/12/Whip.jpg 627 940 TonyKeenan https://www.geegeez.co.uk/wp-content/uploads/2018/09/geegeez_banner_new_300x100.png TonyKeenan2013-12-11 09:25:092018-08-09 05:56:08The Irish Outsider : A Fair Crack of the Whip from the Media? Controversy around Gigginstown House Stud’s unofficial reserve system, an approach of declaring multiple runners in big Irish races then withdrawing one or more depending on ground conditions on the day of the race, has been brewing for a while and it appears the issue has come to a head. The first sign the authorities may have to take the issue seriously occurred at Cork on November 3rd when the withdrawal of Road To Riches was referred to the Turf Club by the racecourse stewards and stronger action was taken by the Fairyhouse stewards on November 21st when Devils Bride, a non-runner due to a change in ground, was suspended for two days and his trainer Willie Mullins was fined €200. Unsurprisingly, Michael O’Leary’s response was swift and hard-hitting, saying that they’re not a crowd of "spivs running around organising betting coups. We don’t punt our horses…We’ve broken no rules…if we don’t get it overturned at the Turf Club we’ll go to the High Court". Strictly speaking, there was nothing incorrect in his statement but that doesn’t necessarily make it right. It is a truism to say that Gigginstown is good for Irish racing. One has to respect how they bring horses along from the very start of their careers, often beginning at the grassroots of point-to-points, instead of buying over ones that have already done it on the track like JP McManus or Barry Connell. The employment they provide in racing yards throughout the country is immense; in the 2012/13 national hunt season, they had runners with fifteen different trainers. Having a finger is so many stables, many of them powerhouses like Willie Mullins, Dessie Hughes and Tony Martin, obviously opens up the possibility of chicanery and strokes but, as the owner says, they don’t plot horses up and they run their charges straight; while Gigginstown runners may be backed on occasion it tends to be form punters’ money rather than support from connections. There is a sense then that Gigginstown keep the Irish show on the road but does this entitle them to bend the rules to suit their own ends? Not for me. Humans are hardwired for this sort of moral mediocrity, a cognitive bias sometimes called moral licensing, where we feel doing something good entitles us to do something bad, a balancing of the scales if you will. At a basic level, it could be something as simple as eating a slice of cake after going to the gym or taken to its extreme, someone like Lance Armstrong believing he was entitled to dope given all he did for cancer research. It is this sense of entitlement that O’Leary is displaying here. It is times like this when I wonder if Major League Baseball don’t have it right in having anti-trust laws in place which place them beyond the reach of such cases; this is a sport after all and the courts have better things to be at than concerning themselves with minutiae of racing’s inner workings. And anyway, isn’t it often the side with the best solicitors that win these cases? If so, there is only going to be one outcome. It should be pointed out that this is hardly the greatest issue facing Irish racing at present; there are much more pressing concerns such as altering perceptions of integrity in the game, the average punter still carrying the belief that it’s all bent. The Turf Club may be able to post the results of inquiries on their website within fifteen minutes of them happening but are still unable to ask the right questions. What the Gigginstown problem represents however is much more important. Irish racing has a long history of placating the big boys but appeasement never really works in the long run and it is to the benefit of all that the game is run in a transparent and fair manner with the same rules applying to everyone. This is an interesting test case when the Turf Club gets a chance to work in punters’ interests as it is they, more than anyone, who are suited by knowing what will run in a given race. That said, the concerns of punters, despite all they contribute to the sport, both directly and indirectly, have never been at forefront of the Turf Club’s mind. Realistically, I can only see one outcome for this case: O’Leary, by hook or by crook, will get his way. By challenging the Ryanair chief, the Turf Club will only make him more entrenched in his views; here is a businessman who has taken on governments without flinching so a board of racing types is unlikely to faze him. That the letter of the law is in his favour shouldn’t matter though, as he needs to look at the broader health of the sport, regardless of how much respect or otherwise he has for the authorities, rather than focus on what he feels he is entitled to. A quiet weekend for Willie Mullins then with just the four winners at odds of 8/13, 4/5, 4/6 and 3/1, so the questions about the competitiveness of Irish national hunt racing should be quelled until the Hatton’s Grace meeting at least. There has been plenty of comment on how boring this has all becomes – sporting dynasties tend prompt similar responses such as Stephen Hendry in snooker or Michael Schumacher in formula 1 racing – so how do you solve a problem like Mullins, if indeed there is a problem? I’m yet to be convinced that there is and even if there is I have only some thoughts and not solutions. The race that really prompted the whole ‘Mullins is too good’ debate was the Morgiana Hurdle in which Hurricane Fly won at 1/16 and the trainer had four of the five runners, the other a 106-rated 50/1 shot. This reaction seems knee-jerk however; the race has been a good one in recent years, Hurricane Fly met with his sole Irish defeat in 2009 and could well have been beaten last year had Go Native stayed on his feet. This year’s renewal too was set to be a hot one before Our Conor and, at the last-minute and probably erroneously on connections’ part, Jezki were taken out. It is not as if champions like Hurricane Fly winning at short prices are anything unusual in Irish jumps racing either. When I started following racing in the early 2000s, it was the norm with horses like Limestone Lad, Solerina and Moscow Flyer. While in his pomp, the last-named ran 16 times over fences between October 2001 and April 2005, winning 12 of them from 13 completions, and was sent off at odds-against just once. Perhaps memory is deceiving me, but I don’t recall an outcry of moaning every time he ran, rather, he was feted. Is it okay to have such a horse cleaning up all around him as long as he isn’t trained by Mullins? In sport, as in life, nothing lasts forever, and periods of dominance are cyclical. 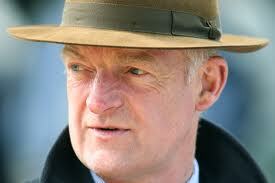 Mullins may be in the ascendancy now but others have held the same position in the past and not maintained it. It is the quality of his dominance that concerns people however; in 2012/13, he had 193 winners in the national hunt season, smashing Aidan O’Brien’s previous record of 155. If anything, his hegemony is becoming more marked. Mullins possesses an extreme concentration of talent and the numbers bear this out. Of the top 100 Irish hurdlers by the ratings, Mullins trains 35 of them (and 26 of the top 50) with the next best being Gordon Elliott with eight. With the chasers, he doesn’t have quite so many but it is still 20 of the top 100 with Henry De Bromhead closest with seven. The problem arises with what you do with such strength in-depth. Whereas the average trainer with a handful of good horses simply targets them at good races, Mullins doesn’t do this as they’d have to race against each other so instead has to find softer contests for them. Take a mare like Glens Melody for example; if she were trained by anyone other than Mullins, it is unlikely she is going for the Punchestown conditions hurdle she won at 8/13 earlier in the month but because he also has the likes of Annie Power, amongst others, she goes there. Owners of course play a big part. There is practically no one in the game, with the exceptions of JP McManus and Michael O’Leary, who can outspend the splendidly-named Rich Ricci, the chief executive of Barclays Capital. There is something deeply ironic about the fact that Mullins, the prime example of capitalism in training where only the fittest survive, has had his gained and retained his position with the backing of such an exponent of market forces. But then again, capitalism is the least worst system we have. Graham Wylie is a different case and his actions in the aftermath of the disgrace of Howard Johnson have been disappointing. After years of open support of Northern racing, he upped sticks and moved all his horses to Mullins and Paul Nicholls, the most obvious of new yards, despite having a clear alternative in Donald McCain, the rich getting richer. Obviously it is any owner’s prerogative to do whatever he wishes but it was unusual in light of his previous comments. This is a choice taken by any owner of putting one into training with Mullins negates the chance of landing a touch, unless backing one from 11/10 into 4/6 is your thing. The Irish racing authorities are not known for levelling the playing field however and on the contrary tend to pander to the interests of big players. One possible solution is reducing the number of graded races and this applies across the board in flat racing and in the UK too. In general, there are too many graded races, too many opportunities for the top horses to swerve each other. Rather than work against this however, the authorities seem to actively promote it; when the upgrades and downgrades of races come out each year, there are invariably more of the former than the latter with the recently upgraded three-mile hurdle at Leopardstown at Christmas a good example of an unmerited Grade 1. Limiting the number of such races however would be one in the eye for breeders however, with all their false black-type, and Irish authorities, both in government and in racing, have been notoriously unwilling to offend this group. In all of this, it is worth remembering that Willie Mullins isn’t perfect though there may be times during the season when he might need a touch of memento mori after another big win, the Roman tradition of a slave reminding a victorious general of his mortality. The knock on the trainer is that for all his Cheltenham success and there have been 29 winners in all, he has struggled in the open championship races, registering only two wins in such races, both coming from Hurricane Fly. Perhaps getting some of his many novice race Festival winners, 19 in total, to progress to open company could be his next trick. I’ve covered my ten to follow elsewhere (available in the November issue of Racing Ahead) but for anyone who cares they are: Bayan, Felix Yonger, Gilt Shadow, Inish Island, Jezki, Mala Beach, Marito, Quevega, Sizing Rio and Un De Sceaux. Now readers can add those to the plethora of others lists from more informed sources and finish up backing a minimum of four horses in every race between now and April; but hey, a winner’s a winner, right? A loser is also a loser though and oftentimes a negative opinion is the best place to start off a race so in the spirit of pessimism I’ve been through the official ten-to-follow lists and picked out a few horses to oppose this winter; I couldn’t come up with ten I really disliked, only nine, but no one in racing ever bothers themselves with arbitrary round numbers, right? The reasons for inclusion on this nine-not-to-follow are many but I’ve tried to stay away from horses that are obviously on the downgrade; instead I’ve looked for ones that are overrated, flattered by their form, ungenuine or are plot horses that rarely deliver. Certainly, some of them will win over the next five months but when they do hopefully it will be when underpriced; call these the all-overbet team. As to those that just missed the cut, Apache Stronghold, Simenon, Tarla and Minsk, please don’t make me look bad. Top of my list of horses to oppose at the hyped pair Defy Logic and Don Cossack; both were beaten on Sunday at odds-on but finished close enough to ensure they’ll be short next time and should continue to make the market. Paul Nolan has spoken of Defy Logic as if he’s the second coming but all he’s won are maiden races at odds of 6/4, 6/4 and 2/5. He’s an empty, keen-going sort that should continue to get found out upped in class and I can see him trying to take a fence home with him sometime soon. Don Cossack was a supreme bumper horse but hasn’t translated it to obstacles; a flashy type, he jumped and travelled like a good one at Punchestown but didn’t want to battle in the finish, running around under pressure, looking like he’s a bit soft and it wasn’t the first time; see his defeat to Mozoltov last season. Our Conor is one I have to be against. He’s a four-year-old stepping out of his age group for the first time and while Sametegal boosted his form at the weekend that was a long way below Champion Hurdle class. His Naas run on the flat suggests he hasn’t improved a pound in that sphere while it could be argued he has already missed three targets this season: the Friends of Tipperary Hurdle, the Irish Cesarewitch and the Morgiana. Thomas Edison ran in the same race as Sametegal over the weekend but he was again ‘unlucky’ as he has been throughout his career that has yielded just two wins from seventeen starts. He’s one from the AP/JP axis so tends to be strong in the market but is a weak finisher. Another McManus horse to be against Ned Buntline; his trainer is overrated, he looks a bridle horse and is coming off an injury. Jessica Harrington will do well to get wins out of Oscars Well who looks the ultimate twilight horse; he must also be a good worker at home as he continually attracts support. On a long losing run, he squandered some soft races last year and doesn’t jump well enough at graded level. A mark of 160 grossly overrates Mount Benbulben as the race he acquired it at Punchestown in a race that went to pieces; a couple of his main dangers fell early, the pace-setters went too hard and a few of the others ran below form after hard seasons. He shaped reasonably well at Down Royal last time but it was terrible race and jumping continues to be an issue. Henry De Bromhead has taken over the training of Aupcharlie from Willie Mullins but there’s very few, none in fact, that improve for leaving Closutton and he’s another that is yet to win a good race; he tends to finish weakly, regardless of trip, and his new trainer, talented though he is, will have his mettle tested with him. I’ve purposely avoided Willie Mullins horses in this hit-list as he seems to find races for even the most tricky customers, his placing generally excellent, but Ballycasey has a reputation far ahead of his achievement. Injuries have been a feature of his career – missed last year’s Festival after an eleventh hour setback as well as a chunk of his first season – and on the bare form is no better than a 135 hurdler. Ruby Walsh picking him ahead of Inish Island again at Punchestown suggests he works the place down but the racecourse form isn’t there yet. The flat season concluded a few weeks back but I’m not prepared to let go just yet so just a few random thoughts on the year…the competitiveness of the Group 1 circuit made things a lot more interesting, not least from a betting perspective. Johnny Murtagh was exceptional all season, particularly on the biggest stage, his rides on the quirky pair Ambivalent and Chiquita in Group 1s master-classes in that most tricky situation, getting the dodge to win…the best three-year-olds of the year might have been absent for most of it, Magician and Olympic Glory…the two-year-olds didn’t inspire but War Command may be the one for the 2,000 Guineas and looks value at this price, it might be time to trust in APOB…the St Nicholas Abbey injury was the biggest non-story of the year, my [very] cynical side thinks it was a marketing ploy to keep in him in the spotlight and the idea that he was some sort of public horse on the verge of a big performance doesn’t ring through, he beat Dunaden on his final start…Fiesolana was one of the real stories of the year, just progress on top of progress, the best Group 2 filly in Ireland…sadly, the spectre of drugs in racing continues to hang over Ireland with the John Hughes case and his mysterious list of trainers. Next week, among these pages, I’ll be beginning a new fortnightly series of articles on the Irish Road to Cheltenham, taking in the key horses and races that are likely (and unlikely) to impact on the four days that dominate national hunt racing in March. Before looking at specifics however, it is necessary to cover a few generalities. The Festival has become a behemoth, dominating the jumps season horizon to such a degree that it is arguably to the detriment of other meetings, races that were once valued in their own right and not just Cheltenham trials. It’s worth reiterating the fact that the a 3/1 winner at the Festival pays the same as a 3/1 winner elsewhere though that can be counterbalanced by a Cheltenham winner bringing far more bragging rights; this is one of two times in the year (the Grand National being the other) when non-racing people may look for a tip and your status as horse racing nut, in their eyes at least, may hinge on a small sample size of selections. Just try to remember that there are plenty of other great meetings over jumps, meritorious in their own right, and aim to keep some sort of level-headed approach to staking Cheltenham, both in the run-up to the meeting and the four days themselves. In the ante-post markets for the Festival, selectivity is important. It seems that every semi-decent jumps winner throws up a Cheltenham quote these days – after Naas and Galway on Monday, the likes of Twinlight, First Lieutenant, Defy Logic and Don Cossack had prices offered up – but most of these are insulting and bear only a vague reflection of their true chance. It might be best to focus on the open championship races rather than the novice events at this early stage; with the former, you can be pretty sure where a horse is going to run. A top two-mile hurdler is only intended for one race at the Festival, the Champion Hurdle, ditto a good staying chaser. With the novices, the options are too wide with races available over two, two and a half and three miles both over hurdles and fences. We saw with Dynaste last year that a horse can switch at the very last minute. If you are intent on backing one ante-post after a big run in a trial race, a decision needs to be made on taking a price quickly or waiting a few days to let the dust settle. Taking the former approach and pulling the trigger on a price that just looks too big relies largely on gut instinct and in this regard your gut needs to be highly trained; there is probably a small window for taking the price but a big chance of value and the risk versus reward needs to be weighed up. Striking a bet here runs the risk of recency bias and buyer’s regret. Personally, the last horse I did this with was Novellist for the Arc after his King George win when 8/1 was available and we saw how that turned out! The other option is taking a few days to reflect on what happened before making a play. Here you are invariably taking a shorter price but you have more information to hand such as a better idea of the level of form, times, trainer comments, even trends if they’re your thing. In the main, I suspect this is a better approach long-term though it is a question that cannot be answered definitively as such opportunities are best judged on a situation to situation basis. Should you want to back a fancied horse for the Festival, a horse in the front two or three of the betting, it is probably best to wait until closer to the off. The big firms invariably push out the fancied runners on the day of the race, keen to get turnover up, and while plenty will knock how much you can really get on in such situations, by being artful in spreading your bet a decent stake can be raised. Backing before the day of the race, or at least before the non-runner no-bet concession, requires that you get big value and it is probably best to look at horses that are trading at double figure prices in this case. For instance, Hurricane Fly is a horse I could see myself backing for the Champion Hurdle provided he has a decent run-up to the meeting but he’s probably a horse that is best supported at 3/1 on the day of the race when you know he is going to get to post rather than at 5s early on in the season given there are months to the race itself and he has had problems in the past. Obviously this can blow up in your face should a big non-runner – not your own pick, obviously – come out but how do you allow for that? Getting back to the Irish horses for a moment, it is worth pointing out the all too prevalent belief that a horse won’t be suited by the track, often paraphrased by ‘he won’t get up the hill’, can be overdone. 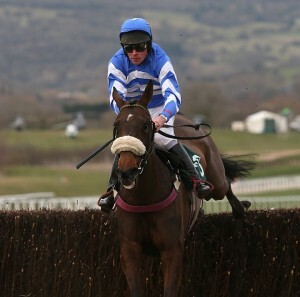 Hurricane Fly is one that has suffered in this regard down the years, knocked on this angle prior to both his Champion Hurdle wins, and while perhaps small-field, soft-ground Irish races show him at his very best, the level he ran to at Cheltenham was still good enough to win. Jezki is an obvious horse where I can see the same happening this year – full disclosure, he’s the only ante-post bet I’ve had for Cheltenham 2014 at this point – though quite how one can say he doesn’t handle the track having finished a close-up third in the strongest Supreme in years, I don’t know. With the Irish horses, in most cases, they simply don’t get the chance to run at Cheltenham before March so it might be best to take their ability to handle the track on trust unless there are strong reasons for believing otherwise; Beef Or Salmon was one that clearly didn’t like it but he was an extreme case that comes along rarely. As a rule, I’m not a huge believer in the horses for courses angle though it probably applies more at Cheltenham than most places as it presents a unique test; like Galway, with its hollows and turns, it is probably worth forgiving a bad run here. The start of the jumps game proper means stable tour season and I’ve written often on the subject of trainer talk before; basically, one needs to avoid being too credulous when reading what they say as such views tend to be too heavily reflected by the market. A dose of healthy scepticism is required as the ratio of quality to quantity tends to markedly favour the latter and this is something to bear in the mind given the stock of blandishments – ‘he’s schooled well’, ‘looks stronger after a summer at grass’, ‘going nicely at home’ – that are likely to be arriving think and fast in the coming weeks. Some trainers are naturally more forthcoming than others while attitudes to hype and understatement can soon be gauged; Champion Trainer Willie Mullins tends towards pessimism while someone like Henry De Bromhead is often quite honest in his appraisals, stating openly whether he thinks a horse has improved or not. 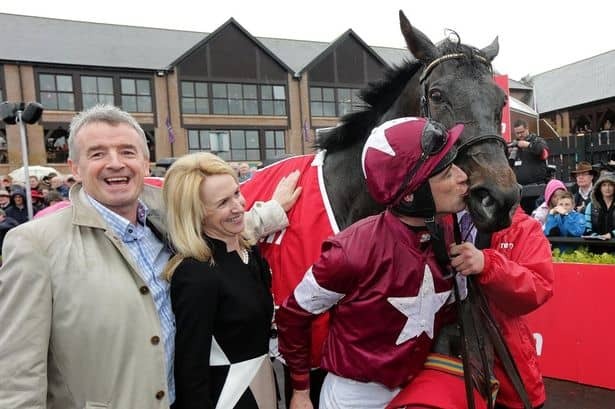 Noel Meade however, who started of the Racing Post’s stable tour series last Tuesday, is perhaps the most interesting of all, blending a strange mix of hype and self-flagellation, self-belief and doubt, all while wearing his heart on his sleeve. I suspect Noel Meade is a fine man, though that is based on nothing more than his media interviews down the years, hardly the best measure of a person. That said, the fact that he has repeatedly taken the errant Paul Carberry back into the fold, regardless of misdemeanour, when a seemingly steadier, and certainly no less capable, alternative in the shape of Davy Condon is available. As a trainer though, I don’t particularly rate him; he’s a capable handler with limitations, though many of these are well-known and can be exploited by punters. Many of Meade’s traits as a trainer were evident in his stable tour. He is a garrulous character, open with the media unlike some of his contemporaries, though that leads to a reputation somewhat in advance of his achievements, at least in recent years. His comments about his horses are peppered with lines about how he misplaced this animal or gave that one an unnecessary extra run. The likes of Ange Balafre and Road To Riches are both mentioned in relation to races they shouldn’t have run in while Meade seems unable to forgive himself for running Pandorama in the 2011 Gold Cup, the fast ground there likely having ruined the career of the top-class mud-lark. There is a feeling with Meade however that he doesn’t really learn from his mistakes; his nature is to be incautious and run horses when they’re ready, often without a sense of a broader plan. There’s nothing necessarily wrong with this in itself, many National Hunt trainers tending too much towards the ‘cotton-wool’ approach, but when he regrets it afterwards the obvious solution seems to be not to do it next time. Yet he will most likely do it again and even mentions it in the stable tour, saying that Muirhead will have one more run despite disappointing in the Munster National and having had plenty of racing for a veteran. A high proportion of Meade’s horses also tend to get injured; the likes of Ipsos De Berlais, Ned Buntline, Sword Of Destiny, Monksland and On Your Eoin had sick-notes last term while he talked about having a bad time with the likes of Corbally Ghost and Perfect Smile. Of course, there is every possibility that roughly the same proportion of horses are being injured in every yard – Meade only seems to have more because he has always had big numbers though perhaps not so much in recent years – and the only difference is that he is being open about how bad the situation really is with his horses. Meade is also an excitable fellow, prone to hype. He spoke of his strong team of novice hurdlers with particular praise going to Apache Stronghold though if he is the best, or even near the best, he has, it might be time to worry; that horse made quite heavy weather of beating a Willie Mullins novice Clonard Lad at Punchestown last Wednesday who had won just one of his previous six starts and it would be no surprise if Mullins had fifteen better than him at home. He raved about Ned Buntline as a novice chaser too but that one has plenty to prove coming back off an injury and while Mullins can afford to lose the likes of Pont Alexandre and Un Atout and still compete in the top novice chases, Meade simply cannot. Then there is his seeming inability to keep horses in form in the second half of the season, the precipitous drop-off in form that seems to happen at the turn of every year. There may be some numbers guy who can prove how he’s actually not too bad based on the actual over expected numbers but to my untrained eye his winners are infrequent later in the season which of course is when the crucible of jumps racing the Cheltenham Festival happens. Yet despite all this, Meade continues to hold plenty of sway with the big owners. Gigginstown send him a good share of horses as does JP McManus. He even commented in the stable tour how he told JP to buy Waxies Dargle after the horse beat one of his (Harvey Logan) first time up that he couldn’t see bested; talk isn’t that cheap. In light of times and post-race jockey comments, there can be little doubt that Ascot overstated the ‘good’ part of their ground for Champions’ Day. Putting out the idea that the going wasn’t too bad may have gotten them a few more runners than a more accurate description would have but it unlikely have garnered any goodwill for the course. Given the conditions, it was no surprise that Irish horses went well in the main though not Dawn Approach; there was a possibility that he was over-the-top for the season but it may have been two bigger reasons, the ground and simply not being good enough. Irish racing did quite well out of the 2013 Budget, receiving only minimal cuts to public funding, not that you’d know it given the public utterances from the chief executives of Horse Racing Ireland and the Turf Club, though one would hardly expect anything else. Comparing the funding rates to what was allocated in 2008 is fallacious as it’s a different world now, akin to comparing the great value a house-buyer is getting for a property now versus 2008. The breeding side did quite well out of the budget with no VAT increase on bloodstock, despite the EU demanding same, the Irish rate of 4.8% looking very lenient alongside the French figure of 19.5%. Looking for further investment at a time like this, with pensioners hit hard by the budget and a winter of discontent looming, is optimistic in the extreme even allowing the fact that racing is net contributor to the economy. After attending the Arc De Triomphe for the first time recently, it’s clear that the French are good at a few things: food – the delights of getting crepes and baguettes at Longchamp was unusual in light of our own limited racetrack catering, and that’s not even to mention the half-decent coffee; taking their time – in Paris, it doesn’t do if you’re in a hurry for a bet or a bite; exclusionism – the French have a wilful ignorance about speaking English and care little for racing in other countries; training racehorses – the home side dominated proceedings over the two-day meeting, Maarek being the only foreign-trained runner to land a group race from ten such events. On the track, Treve was magnificent, right up there with the best recent winners of the race. It wasn’t so much her wide-margin win that impressed but how she achieved it; sweating up beforehand, she used plenty of energy early on racing keen and wide and Thierry Jarnet made a premature move in the false straight that would have proved ruinous on a lesser filly yet she still powered away to win, posting a very quick closing sectional, albeit off a slow pace. It was a good example of a poor winning ride and while it could be argued that he made his move at the optimum time, quickening up the slow gallop and catching the others unawares, in the main this sort of move rarely pays off. Treve is clearly the one to beat in all the top middle-distance races next year and credit to her owners who have taken the unusual step to race on with her at four – a notable shift in approach – but she wouldn’t be the first filly not to train on. Moonlight Cloud was equally imperious in the Foret though again the ride was less than inspired; Jarnet set the mare too much to do and was saved by one that can now be used as the touchstone for ‘push-button’ quickening though that impression may have been enhanced by the switch in camera angle up the straight. The Breeders’ Cup proved her downfall last year and she hasn’t always held her form through to the end of the season but this was a special run and it will be intriguing to see where/if she runs again. One thing to take away from the race was that the ride in Moulin, where she was in front far too soon over a trip that may stretch her, was another poor one and Olympic Glory looks flattered by getting so close to her. Away from the blindingly obvious, a trio of horses are worth taking from the meeting. The well-backed Lesstalk In Paris put up a big run in the Boussac; she had to be used up early from a wide draw to get the lead and set a strong gallop, travelled best, kicked on entering the final furlong and was caught close home, the other five of the first six home all held up to one degree or other. The sectionals backed up that she set a very strong pace. In the Arc, Intello looked the one to follow, ridden like a dubious stayer and conceding first run to the winner; next year’s ten furlong races looked there for him but she reportedly goes to stud. The Cadran hasn’t been a strong race lately and that looked the case again this year; even so, the second Tac De Boistron shaped best; way too keen early and made a big move before the false straight, came there travelling best but didn’t see it out, should do better back at two miles and seems to have improved for new yard. Another notable factor from the meeting, and a developing pattern over recent years, was the poor record of Aidan O’Brien-trained horses; since Dylan Thomas won the 2007 Arc, only Misty For Me (2010 Boussac) has won for him at the meeting. Ballydoyle formerly had a good record in the 2yo races, notably the Lagadere, winning colts’ race five times between 2001 and 2006 but their focus seems to have shifted away from it lately; it’s not as if O’Brien didn’t have the horses for that race this year with the likes of Australia, War Command and Tapestry but he sent the C-team, not even the B-team, over in the shape of Wonderfully and Wilshire Boulevard. If anything they looked like sighters to see where his best juveniles are in relation to the pick of the French and he can’t have been overly worried given that they finished quite close up. One interesting development along the same lines is that O’Brien said on Saturday that War Command, Australia and Geoffrey Chaucer are finished for the year, the Racing Post Trophy and the backend French Group 1 races seemingly not an option. As to the Arc itself, he has always struggled in the race, getting good ones like High Chaparral and Duke Of Marmalade beaten though it would be unwise to read anymore into the defeat of his runners this year than the view that he simply didn’t have the horses in the shape of Ruler Of The World and Leading Light. As to the race-day experience at Longchamp, I would describe it as different, rather than better, though I must admit to a ready preference for the British/Irish day out. Firstly, there’s the pre-race analysis as the France-Galop site is the next stop up from useless, completely user-unfriendly; we may complain about the flaws in the Racing Post website or Horse Racing Ireland’s race administration site but they are vastly superior when placed alongside the French equivalent. The entrance fee is clearly a big plus to French racing – it cost just €14 to get into both days and there was plenty for access for that cheap fee, Longchamp seemingly nothing like as stratified as some of the English tracks. In comparison to the ticket prices for something like Champions Day this weekend (£55 for premier admission) it is value for money though I remain unconvinced that lowering entrance fees – a commonly put-forward solution to dwindling race-day attendances – is the answer as the weather is often the vital component. On that subject, Longchamp certainly isn’t a place for a rainy day, so much of its facilities based outside, and the lack of emphasis on betting was a down-point. Realistically, one only has the PMU on offer and ignoring racing from other jurisdictions was a poor show given that there was French trotting on offer on the close-circuit TV. Expecting Tipperary on screen is probably a bit much but the better races from the UK on Saturday when there was a good Ascot card is hardly too much to ask for and in any case it’s worth remembering that French punters are betting into Irish Tote pools at present so perhaps calls for some Irish action is justified. The breeding side of racing clicks up a gear around this time with a number of big sales taking place and it seems as good a time as any to explore the whole idea of black type and its meaning or meaninglessness. I should preface this by saying I know nothing about breeding in a practical sense beyond its use as a punting angle such as looking through a horse’s siblings or wider family to ascertain ground and trip preferences or know the predilections of various sires for different surface. Despite this the question has to be asked: are breeders stupid? That may seem extreme but the placing of horses, most specifically fillies and mares, and trainer comments about the same suggest so, especially in terms of black type races. After any filly or mare wins a maiden or even half-decent handicap, it seems that the trainer talks about getting black type for her despite the fact that the horse would need to improve in the region of 20lbs to get into the frame in such a race. Some particularly ludicrous examples stand out. Following a maiden win at Wexford in August at the seventh attempt, Jessica Harrington said that she would try to ‘sneak a bit of black type’ with her, despite the fact that the filly is rated 75, has been tried in cheekpieces having shown temperament and made very hard work of beating a 70-rated filly half a length in the Wexford race. Going back a bit, Pat Flynn commented in 2011 that his Mamma Rosa ‘could make a listed filly’ following a handicap win off 71; even allowing for a horse going the wrong way, this was a pretty outlandish statement as since then the mare has never gotten higher than a mark of 80 and won just once in 23 subsequent starts. Perhaps this was just ‘sales talk’ – Flynn owned the filly himself and may have wished to sell her on – but even so, they don’t give out black type for 0-80 handicaps at Listowel the last time I looked. All of this brings up the idea that there may be too much soft black type available, altogether too many races at listed and group level and not enough quality horses to go around; when one reads of the race upgrades and downgrades each year, there are invariably more of the former than the latter. Obviously, there will be times when a horse will ‘fall into’ some black type, a race where the main players don’t perform for whatever reason, such as when the then-78-rated Core Element ran third in the listed Knockaire Stakes at Leopardstown last November. 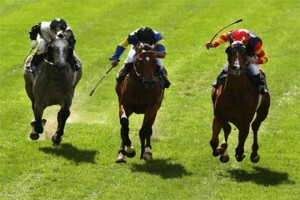 A run like this should not however markedly improve a mare’s ‘page’; breeders would be wise to dig deeper in the likes of Core Element’s racing career and look beyond brackets and dark print and place a mental asterisk over ‘giraffe’ runs like this, so far ahead of anything she achieved before or since. Perhaps the edge for breeders that want to get stock that wins at the track rather than looks good at the sales is a different approach entirely though I acknowledge there are obvious commercial imperatives that mean fashion and trends are important. Might breeders be better advised to look for proven top-of-the-range handicapping mares that are battle-hardened and durable albeit possibly a little more difficult to get into foal due to their prolonged racing careers. Something likes Strandfield Lady springs to mind though obviously she would need to be physically correct in the first place. This drive for black type often leads to the misplacing of horses where they skip out an extra handicap or two to go straight into listed or group races. Take Shu Lewis as an example. Here you have a mare that runs well in a conditions race on her first flat start, close enough to 95-rated types giving weight, then goes well in a maiden and on her third start…runs in the Irish St. Leger. She actually goes well, finishing a close-up seventh and receiving a paltry €2,000 in prize-money, and then wins her maiden next time and gets a mark of 95 when without the Group 1 run she’s getting something in the mid-80s. On her next start, she runs very well in the November handicap worth €36,000 to the winner off 95 but off even five or six pounds lower she’s winning. Owners’ decisions are their own to make but this kind of placing is anathema to me; why not win as many handicaps as possible and let the horse improve gradually rather than over-facing it. There are times this may work but it fails with countless others and all you’re left with is a badly-handicapped horse. Rant over. Now there’s a striking revelation; an animal is put out to grass for a summer, doing no exercise at all, and they put on weight, ‘getting stronger’ only a euphemism. In fact, most mammals will get heavier with age, and certainly any beast that was out in a field this summer will have thrived; one doesn’t need to be a farming expert to know that a horse will put on condition after a prolonged, dry period at grass. So all these comments about getting stronger are really an exercise in stating the obvious and we can expect plenty of such as the National Hunt season gets going. Jumps trainers seem particularly given to this kind of filler whereas in reality when a horse is coming to a race the aim would be to get him lighter; less weight means it can move faster though improved musculature would help in that regard. While on the subject, when was the last time you heard a jumps trainer say one had gone backwards over the summer or even that they schooled badly? No, I can’t remember either. One can only assume this account is a wind-up as anyone who tweets about winning the Derby and Nunthorpe in the same year non-ironically should get some help. Indeed, this whole idea that a horse may be the best Aidan O’Brien has ever trained has become a punch-line lately, the tag attached to So You Think, Camelot and Australia in the last three years. It is unfortunate that O’Brien has seen fit to throw this moniker around so much; perhaps it is a bias towards to the recent or pure ‘sales talk’ (i.e. 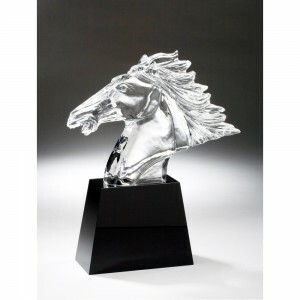 a desire to hype a stallion prospect) that causes it. This shouldn’t take away from the fact that O’Brien is a brilliant trainer who has handled some top-notchers superbly over the years and while the trainer himself seems willing to falsely crown a new superstar at the expense of his past superstars, we the racing public shouldn’t. With this in mind, it is worth recalling the ten best O’Brien horses. Before I start a few caveats; this list is subjective, a combination of ratings, consistency, winning the right races, beating good horses and simple personal preference. I should also state that I only began following racing around the 3yo careers of High Chaparral and Hawk Wing so it may be biased to the recent. I also tend to favour consistency over raw brilliance, the ability to perform to a high level more than once rather than the shooting star of one spectacular performance. Interestingly, that has been the hallmark of O’Brien’s best horses, toughness and will to battle rather pure class in the vein of something like Frankel or Sea The Stars, or at a lower level Goldikova or Canford Cliffs. His reputation has suffered somewhat from being falsely compared to Declaration Of War this year but unlike that one who fell into a pair of Group 1s, Giant’s Causeway danced every dance and was the best dancer in almost all. A mile and ten furlongs all came alike to him as he won five Group 1 races in 2000, a season that was sustained by his rivalry with Kalanisi, though his best effort may have come in defeat at the Breeders’ Cup. Competing in the Classic, a race where so many European horses have flopped, he narrowly went down to dual winner of the race Tiznow despite the race being his tenth run of the year. Part of the stellar 2001 and 2002 for O’Brien, the Rock won six Group 1 mile races on the hop in the latter and should have won his final start too, undone by trouble-in-running in the Breeders’ Cup Mile. A proper juvenile too when he won the race now known as the Lagadere and the Dewhurst, he competed against some talented types in Hawk Wing, Banks Hill and Landseer. Perhaps the most underrated of all O’Brien horses, on a bad day High Chaparral was third in two Arcs but won every other start but his debut. There was no flash to him as he rarely won impressively and his best official rating of 126 undervalues him but he won Group 1 races over eight, ten and twelve furlongs and was as good at the start of the season as the end, winning a pair of Breeders’ Cup Turfs. He’s a horse that should be elevated because of the competition he defeated, beating Hawk Wing when that one was on a going day in the Derby and twice beating the brilliant Falbrav. The case against Dylan Thomas is clear – he could throw in the odd stinker and showed signs of temperament – but his 2007 4yo season was one for the ages. That year, he won the Ganay, King George, Irish Champion Stakes and the Arc (his trainer’s first and only winner of the race), while in between finishing second in the Tattersalls Gold Cup, the Princes Of Wales and the Juddmonte at York. That’s a string of seven 125 plus efforts back to back so the whimper with which he finished the year can be forgiven. The ten and twelve furlong division tends to be the toughest in European racing and horses running in every top race of this kind, much less maintaining a high level of form throughout, is almost unheard of. The only thing that could beat Henry was slow ground and an in-form Raven’s Pass and he rattled off four Group 1 mile races in the early to middle of 2008. None was a soft race as he beat New Approach and Raven’s Pass in those races and he’s a horse that can be upgraded by his competition. The fact that he peaked in both May and October, winning a 2,000 Guineas and running second in a Breeders’ Classic, is another notable achievement. At a final figure of 129, Excelebration is the highest rated O’Brien horse with the exception of Hawk Wing and he has much more depth to his form. Clearly his inclusion is a nod to Frankel and any horse that was second to the great one and more or less won his other starts has to be very good; that said, it’s all about the wins and losses and he got beaten a bit too often for comfort and he also only came to Ballydoyle for his final season. His form tailed off somewhat towards the end of his 3yo season, notably a below par effort in the Breeders’ Cup, but his Derby win was as impressive as we’ve seen in recent times and he formed part of a brilliant rivalry with Fantastic Light. While his reputation as a racehorse may have slightly dimmed with the passing of time, his legacy as a stallion should be much more long-lasting. Yeats was never better than at Royal Ascot where he won four Gold Cups in impressive fashion but if you’re a stayer then the Royal Meeting in June is the place the peak with the possible exception of the Melbourne Cup. He was pretty good at Goodwood too though tended to struggle in the autumn but his longevity and the fact that he returned from a serious injury as a 3yo are positives. That said, it’s hard to rate a glorified bumper winner any higher. There’s only room for one temperamental genius on this list and Hawk Wing gets the nod ahead of George Washington. But on his day, for all that they came infrequently, he was brilliant, such as when winning his side in the 2,000 Guineas but especially in an 11-length victory in the Lockinge, a win that gave him his best official rating of 137. That’s the best figure an O’Brien horse has ever achieved but it doesn’t make him the best horse in my eyes. There are higher rated colts that could be included ahead of Peeping Fawn and like all the best fillies from her yard, her reputation will always suffer from not being allowed to take on the males at the top level; it would make no sense for a stable engaged in stallion-making to win such races with a filly. But one gets the feeling that in that eight-week period in 2007 when she won the Pretty Polly, Irish Oaks, Nassau and Yorkshire Oaks on varying ground and in comfortable fashion, she would have beaten most anything. Honourable mentions: George Washington (see Hawk Wing), Stravinsky and Mozart (European sprints generally uncompetitive and luck plays too much of a part), Duke Of Marmalade (just not good enough at three), Istabraq (brilliant, but we’re comparing apples and oranges). As I stated at the top of this piece, my list is subjective and my own personal opinion. I dare say that many of you will take a different view, so why not add your thoughts below? I love Irish racing and rate it the best in the world in a pure sense; we have great trainers, jockeys, racecourses and not least horses. All of this makes what I’m going to write more difficult but for all our great qualities as a racing nation, we remain, in the words of chief flat handicapper Gary O’Gorman, a ‘third world racing country’ in terms of our data availability and dissemination of such information. Back in March 2012, I sent a similar open letter to this to all 25 racetracks in Ireland, Laytown excepted, making the same requests as are listed below. The response was minimal; only five even replied and their answers were for the most part deeply unsatisfactory. It is difficult to draw any conclusion other than the obvious; that in terms of relaying vital information to the betting public, the tracks have copped out, coming out with such comments as they haven’t got time (see Ballinrobe in recent weeks), and seem quite content with getting away with the bare minimum of work in this regard. That the Irish climate is changeable is sometimes given as a reason why going updates and weather forecasts for individual tracks are not better publicised; on the contrary, it is because of this variance in weather that updates should be given and it is certainly not an excuse. Tracks should update the ground at all the key stages: when the 5-day entries for a fixture are released; on the morning of declarations; early in the morning of race-day; and, perhaps most importantly, any other time between the last two stages when the ground changes. All too often there is an information vacuum between declaration stage and the final alterations to the card an hour before the first and it is time to fill this black hole. Some courses have improved in this regard in the last year or so but what we need is absolute consistency of response across all tracks. Forecasts need to be expressed probabilistically; after all you are dealing with punters who think about probability all the time, this is what they do. As for actual weather conditions at the track in the run up to race-day, some sort of individual standardised weather station that could be hooked up to the Irish Weather Network or the Turf Club’s own website could be the way to go. They are available for a nominal cost – you would have change out of €600 – and would take the pressure off some of the tracks reporting and I’m sure they’ve already got something in place for measuring rainfall. The term ‘about’, as used to describe race distances, needs to be eradicated from the Irish racing lexicon. What we need are exact distances, down to the yard, and if that means sending a racecourse employee out on the track the evening before racing with trundle wheel then so be it. Even a casual viewer of Irish racing can recognise that some courses have utterly different track configurations from one meeting to the next. Moving rails to preserve ground is of course an important part of husbandry but it is time to tell punters about these movements; I have little doubt that all movements are noted in detail at each track so there should be little problem in making this information public. To focus on another of Hughes’ points in said email, he also stated that race conditions were published about a month in advance and it may not be ‘practicable’ for tracks to measure distances closer to the day; this is moot point and it should be made practicable. I for one would love to be able to study sectional times on Irish tracks, to deepen my understanding of a sport I am passionate about, but I have little faith in the distances races are being run over so why waste the effort? We live in an era of Big Data, where seemingly every conceivable figure is measured, but Irish racing takes no part in this and could even be said to actively work against it; even Mediocre Data would be a huge improvement. The modern sports fan, who is obviously the future of the sport, wants to know these things and if the Turf Club decides not to provide it, they will go elsewhere for their sporting fix; give us the information and let us decide how we will use it. The Turf Club’s institution of minimum weights for apprentices has been one of the most interesting off-track developments of the year and praise must go to Doctors Adrian McGoldrick and Giles Warrington for their forward-thinking approach to dealing with wasting among apprentice jockeys. The new rules can be briefly summed up as follows: after a series of tests to ascertain body fat percentage while ensuring the young jockeys are in a fully hydrated state, the doctors will decide on a healthy weight below which the apprentice cannot ride and follow this up with meetings between the jockeys and dietitians to ensure their diet is correct. Should the jockey wish to appeal their assigned weight, they can be reassessed at monthly intervals. One gets the impression that this is something McGoldrick would ultimately like to bring in with the senior riders as well as to Britain in time and this brings up a number of interesting issues, both specific and general. To deal with the specifics first, Colin Keane, widely regarded as one of the young stars of the Irish scene, has come out badly of the whole thing with an assigned weight of 8-11 which when you take his 5lbs claim into account means he cannot ride at lighter than 9-2, and Keane has already commented on how he has missed out on rides because of this. With someone like Keane we generally read over his comments in the paper and forget about them as his profile isn’t high but would we do the same with Joseph O’Brien if it such rules came into force for senior riders? You’d have to imagine that Joseph would be on pretty dangerous ground were similar rules applied as he’s a big lad and it’s very difficult, if not impossible, to alter one’s body chemistry; if ten and a half stone is your healthy weight, then so be it. Remember, this is a jockey who can’t make the weight on 3yos in weight-for-age Group 1 races at this time of year as we saw with Ryan Moore taking the mount on Venus De Milo last week though it may be that by maintaining a steady weight rather than wasting to reach an unattainable low, he could be prolonging his career in place of short-term gain. When the minimum weights for flat races were raised by the Turf Club in 2012, there were some conspiratorial murmurings that it had been driven by the Ballydoyle to assist Joseph in his riding career but were the Turf Club to introduce these rules across the board it would give the lie to such beliefs. There is of course the argument that such rules should only apply to the younger riders and there is plenty of merit in that as many of our apprentices are secondary school age and the authorities have a duty to care to them. Young people are often exploited in sport; soccer player may find themselves on the scrap-heap without education after failing to come through a club’s youth programme while many a young tennis player is burnt out before their teens end and racing wants to avoid this. But it is different with the senior riders, adults as they are. Perhaps suffering, and in flat racing at least this tends to take the part of wasting and not eating rather than injury, is simply part of sport. Boxers have to train and diet to make weight for a fight while cyclists do similar as anyone who has read some of the harrowing chapters of Tyler Hamilton’s autobiography ‘The Secret Race’ will know as the cyclist survives on little more than carbonated water post training. Yet with jockeys, the dieting is so prolonged. Boxers have a fight but then they can let loose while a jockey can rarely do so and we often hear anecdotal evidence of riders barely eating (or even drinking, as liquids have weight too) at all. Can we really expect top sportspeople to perform without proper nutrition? As someone who really likes food, I imagine it as the worst kind of hell though that may say more about my own lily liver than anything. That said, I’d almost consider raising the weights en masse; why not hike the minimum weight to ten stone and open the whole thing up? This wouldn’t appeal to the ‘no pain, no gain’ supporters and it would certainly throw handicap marks, ratings and times out of kilter but it would also be a jockey welfare move for the ages. We are living in a time when humankind is only getting bigger due to better nutrition and healthcare so perhaps the time for this will eventually come though it seems a world away. Futurity Day at the Curragh provided some classy racing last Saturday though I called the big race totally wrong in opposing War Command; time may show that this wasn’t the best renewal of the race behind the winner but he was impressive in how he travelled and picked up and was a different horse to the one that ran in the Phoenix. There were other pointers on the card. Terrific defied a market drift to win the opener easily; she is an under-the-radar filly that should prove up to group class. The English unsurprisingly dominated the Flying Five where My Propeller was a big eye-catcher; he travelled best to the furlong pole when he had to be snatched up and looked unlucky. Abstraction is another to take from the race; he improved from his Tipperary run to the tune of 10lbs and got amongst the older raiders, looking like a young sprinter to follow, that he is trained by a low-profile yard only heightening his appeal. Nero Emperor was clearly the unlucky one in the 6f handicap; held up last, had to switch sides when pulling double, jockey nearly fell off with hampered a furlong out, flew home, though optimism about him should be leavened with the fact that he rarely wins. For my money Sassaway is the one to take from the race; this effort may suggest the handicapper has her but the way she travelled through the race says otherwise and this sort of cruising speed is valuable in sprints. Things have cooled off a little for Connor King of late, just one winner in the last ten days, but he’s been one of the stories of the Irish flat season so far, his four-timer at Cork earlier in the month the standout moment. Yet one has to ask is it all too much, too soon? Thinking of the jockey himself and his long-term development, it is hard to believe that burning through his claim so quickly is ideal, and while the fast-track to the top sounds great in theory – some piss-taking bookmakers have even offered odds on him being Champion Jockey by 2015 – Irish racing is littered with top apprentices that won a ton of races when claiming but failed to make the grade in time. The reason for this is obvious: there simply isn’t enough work to go around. There are only so many top jobs available with the likes of O’Brien, Bolger and Weld and all have incumbents that are hard to displace for one reason or another and the stable King is based with – David Wachman – is unlikely to offer an opening any time soon with the excellent and relatively young Wayne Lordan in situ and Billy Lee getting his share of rides too. One has to wonder too at Wachman’s role in the King phenomenon too and question why he hasn’t sought to manage his young talent’s claim a little better by restricting him to fewer outside rides and thereby retaining the allowance more for his own runners. Not only would this have benefitted Wachman – three or five pounds are always helpful in a handicap and maidens– but it could prevent King from being rushed up the ranks. Certainly this is something one could never see Jim Bolger doing and few would question his record of producing top jockeys; he has restricted Ronan Whelan’s career thus far by preventing him from taking some rides which should prove beneficial in the long run. Bolger may be hard on his horses as I wrote about last week but rarely is he so on his jockeys, giving them plenty of time to develop. Kevin Prendergast is another that tends to bring his young riders along slowly and has a fine resume of success in that sphere. Of course there are counter-arguments to all this: opportunity should be grasped when it presents itself; King is tall and could struggle to maintain his weight so may not be long for a flat career. That said, surely a claim would be useful over jumps too if that is the way he goes? The worth or otherwise of the Coventry form has been well-debated in the Twitter-sphere in the past weeks and I’m firmly in the camp that says it was a weak race. The ratings boys have pointed out that the horses to run from the race have bettered their Royal Ascot figures on subsequent starts and that we shouldn’t judge a race simply by the number of winners that emerge from it. Certainly, they are right on the latter point though not the former, as the improvement shown by the Coventry horses has been minimal, especially when one considers it is the premier 2yo race at that point of the season and should be filled with lightly raced types that thrive through the summer and better their early ratings significantly. This has palpably not been the case with the first five home in the race – the only meaningful representatives of the form (as the margins of defeat were large) to run since – have lost all of their next starts and ratings punters have perhaps been guilty of over-thinking the whole race, trying to be clever when no great insight was needed. The fact is that the betting market is overrating the Ascot form as the first five horses have been at odds of 2/5f, 11/4, 9/4f, 11/10f, 1/2f, 7/1, 20/1, 9/4, 8/1 and 92/1. In terms of betting, little else matters and while the ‘winners emerging from the race’ angle is all too simplistic as a rule, this is a line of form that should continue to be opposed. Perhaps the most interesting entry of the week ahead is Coventry winner War Command in the Group 2 Futurity Stakes at the Curragh on Saturday, a race the Kingmambo colt would have to carry a penalty in. A decision to run him there would be unusual though hardly unprecedented for Aidan O’Brien; he ran Henrythenavigator in the same race after a Phoenix Stakes disappointment in 2007 and that hardly dented his long-term prospects, winning four times at Group 1 level afterwards. Yet it hardly suggests the world of confidence in War Command from the yard and things could be getting decidedly edgy at Ballydoyle with a host of Group 1 races on the horizon. They have won just one domestic Group 1 this year and just three such races in the UK and the two-year-old picture for colts that looked so rosy going into Royal Ascot is murkier now; War Command and Coach House have disappointed, Stubbs hasn’t run since and Sir John Hawkins has gone the wrong way temperamentally. The likes of Indian Maharaja, Oklahoma City and Wilshire Boulevard are decent types but look more like Group 2/3 horses at this point and the most exciting Irish juvenile colts appear housed in other yards, Sudirman, Big Time, Exogenesis and latterly and notably Free Eagle. It appears as if O’Brien will be reliant on some backend types for his classic wins next year and that is hardly the ideal position to be in.